The process of motorcycle registration and titling in Illinois is the same as that of registering or titling a motor vehicle. If you purchase a motorcycle from a dealership, the dealer will handle registration and titling paperwork on your behalf. The dealer will also collect the motorcycle registration and titling fees and taxes from you and pay them on your behalf when they register your motorcycle. 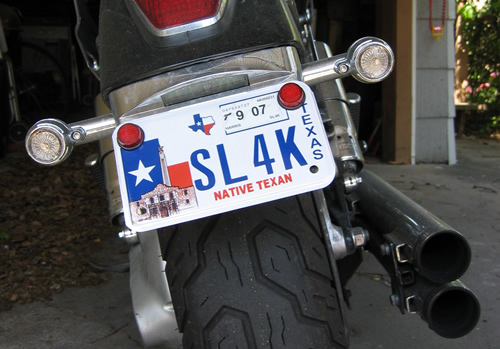 If you purchase a motorcycle from a private seller, you will be responsible for registration and titling. To begin the process of motorcycle registration, you will need to complete the Application for Title and Registration Form. This form can be obtained from any local Secretary of State (SOS) office. This form cannot be downloaded online. You will also need to provide proof that you own the motorcycle that you are registering. You can either present the original title from the seller that has been signed over to you or documents that show proof of motorcycle purchase, i.e., the bill or sale. Also, you will need to present the odometer disclosure statement on a separate document or on the back of the title. Confirm that the name and the VIN on the signed over title is the same as the one you have entered in your application. The Illinois Secretary of State provides a pamphlet with more information about motorcycle registration. This pamphlet contain tips on how to complete Form VSD 293 (Application for Title and Registration Form). When you are applying for motorcycle registration for the first time, you will need to pay $95 titling fee plus $41 registration and license fee. To renew your registration, you will need to pay $41 annually. You will need to pay sales tax, regardless of where you purchased your motorcycle from. The motorcycle sales taxes vary depending on your county and municipality of residence. If you purchased your motorcycle from a dealership, the dealer will collect the sales tax from you and pay it to the state on your behalf. If you purchased your motorcycle from a private seller, you will pay the sales tax when titling and registering your motorcycle. Sales Tax Rate Reference Manual (ST-25) will help you know the amount of your sales taxes before you visit the registration office. This manual will tell you the exact amount you owe the state based on the county and municipality you purchased your motorcycle from. If you own an off-road motorcycle, you must title it in your name. However, registration is not required since they are not meant to be used on public roads. If you are a new resident in Illinois, you must register your motorcycle within 30 days of establishing Illinois residency. You will face some penalties if you fail to register your motorcycle within this period.